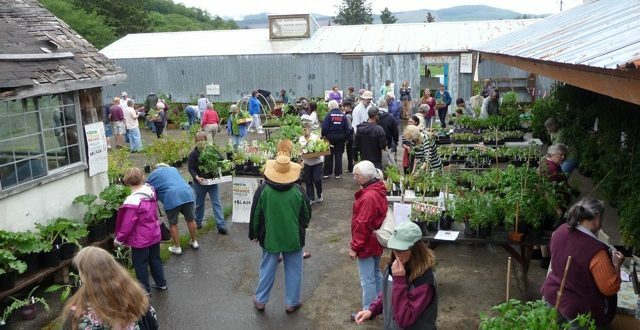 Lower Nehalem Community Trust’s (LNCT) annual plant sale will include many of the plants for your vegetable and fruit garden as well as flowers that are either edible or attract beneficial insects. We will again be offering native plants for the community members who want to add these to their garden landscapes. Plan to arrive early at Alder Creek Farm for the best selection of seasonal favorites. Plants are selected to grow in the cool maritime climate of the Oregon coast. LNCT’s annual garden plant sale is a fundraiser for the Trust’s Community Garden Program in which 40 active gardeners come together each week to learn how to grow food using organic techniques, share the work, share the bounty for their families, and share the excess with the North County Food Bank and Senior Meals Program in Nehalem. To reach Alder Creek Farm & Natural Area, turn south off of Hwy 101 at Underhill Lane between Manzanita and Nehalem. Follow the Lane to the end of the road for plenty of free parking.